It wasn’t all bad for boxing fans in 2016. Five fights stood out, and three are headed for rematches in 2017. Here’s the list of the top five best fights of 2016. Boxing fans took a beating in 2016. The year will mercifully come to an end soon. The fights the fans wanted to see weren’t made, and the few that came to fruition were put on pay per view. Not one fight in 2016 was worthy of the PPV asking price. Cheer up, fight fans. The year 2017 is starting to take shape, and the schedule looks exciting with Danny Garcia-Keith Thurman and Gennady Golovkin-Daniel Jacobs already booked. Fingers crossed for Golovkin against Saul “Canelo” Alvarez in September. The light heavyweight matchup that was referred to as “Pound-for-Pound” didn’t crown a new boxing king, but it did deliver the most controversy of 2016. 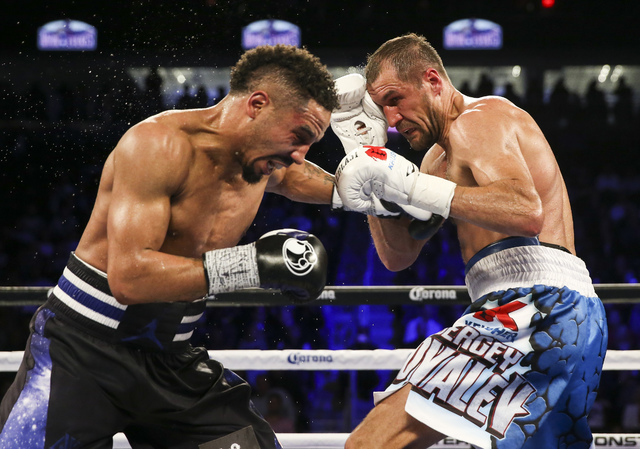 Ward edged Kovalev with a 114-113 unanimous decision on all three scorecards, leaving reporters shocked at press row. To this day, boxing fans still debate who really won the bout. For the record, the Review-Journal scored the fight 116-111 in favor of Kovalev. For a sport struggling to garner mainstream attention, this type of controversy is a good thing. There was no blatant robbery because of the numerous swing rounds, and in the judges’ eyes, Ward won all of them. The fight didn’t deliver as much action as the top four on this list, but there was a knockdown when Kovalev dropped Ward in the second round. 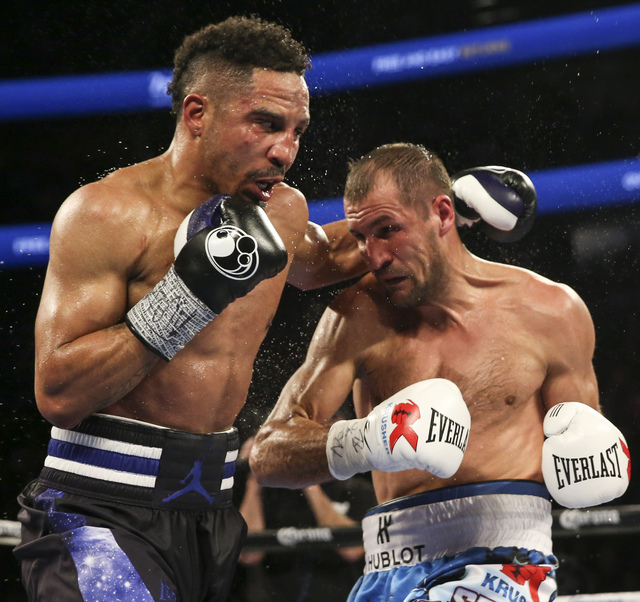 Ward rallied in the clinches with solid body work. This fight had a little bit of everything. A raucous atmosphere, momentum swings and a new champion. Frampton, the undersized Northern Irishman, outboxed Santa Cruz for a majority decision and was crowned the WBA featherweight champion. Frampton was cheered by the thousands of Irish fans in attendance, as he delivered timely, memorable punches and displayed flawless footwork. 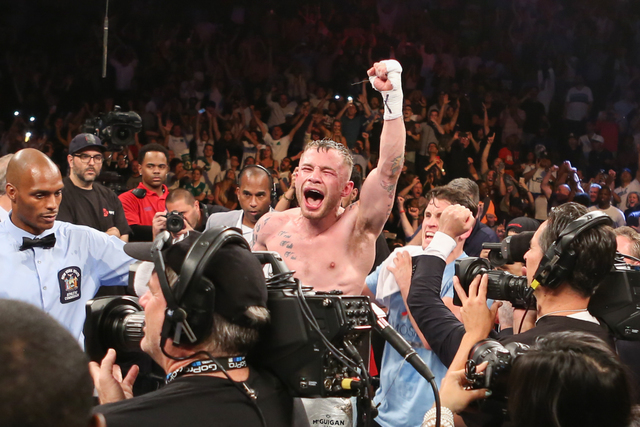 Frampton is considered the front-runner for Fighter of the Year with his victories over Santa Cruz and Scott Quigg. But this bout falls short for Fight of the Year. Santa Cruz seemed to be off all night with lazy exchanges and appeared bothered by the crowd. He was coming off a training camp during which his father was overcoming a battle with cancer. Santa Cruz has vowed to be better for the rematch Jan. 28 at the MGM Grand Garden. Who says the little guys can’t headline a show? It’s time to put that notion to rest. The two super flyweights put on a fantastic show at The Forum with the crowd divided. Nicaragua chants broke out when “Chocolatito” Gonzalez took command of the early rounds. The Mexican fans responded in support of Cuadras’ rally in the middle rounds. Cuadras came up short against the consensus No. 1 fighter on the planet, but the Mexican knows how to entertain a crowd. 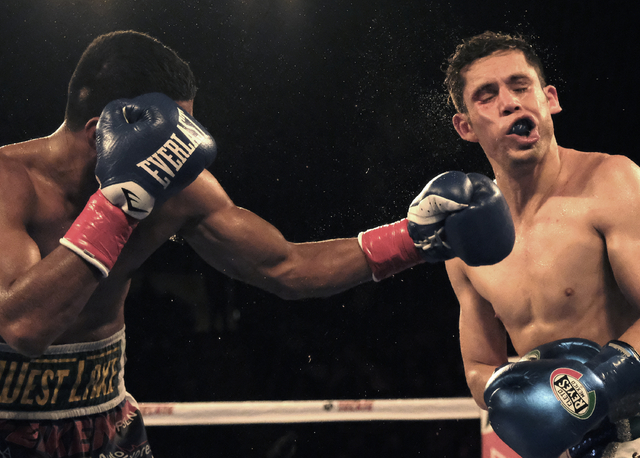 Cuadras got the fans fired up with his emotion and intensity in the ring. He gave Gonzalez arguably the toughest fight of his career. The bout delivered as an HBO headline event, but this explosive fight could only be fully appreciated if you were in attendance. Rumors have surfaced that the rematch could be the co-main event on the Golovkin-Jacobs card March 18. Please sign me up. Seeing this glorious fight between two Mexican warriors listed at No. 2 most likely will anger some boxing fans. But on the night after Muhammad Ali died, this was the perfect fight to honor The Greatest of All Time. HBO analyst Max Kellerman described the fight perfectly before Vargas and Salido entered the ring: “It’s never a guarantee you’ll roll a seven, but here, you’re rolling with loaded dice.” Everyone in the boxing world knew this was going to be a brutal back-and-forth fight, and that’s exactly what we got. It was hooks galore with uppercuts sprinkled in. Vargas and Salido were like two angry rams stuck in a phone booth, no one budging to give space. It’s the type of street fight you don’t see anymore in today’s boxing. After 709 punches landed, the fighters were awarded a draw. No one deserved to lose. Vargas’ eyebrows were left parted like the Red Sea. But there was no strategy in this one. It was “here’s my best shot, let’s see who drops first.” Was hoping for jabs to set up a power shot that would deliver the memorable knockdown moment. There was no ring movement, footwork, feints, counters, etc. Amazing fight but predictable. This one didn’t carry the type of action as Vargas-Salido. But Thurman and Porter did give the sport a much-needed jolt. This thrilling bout was the first boxing event televised on CBS in more than three decades. 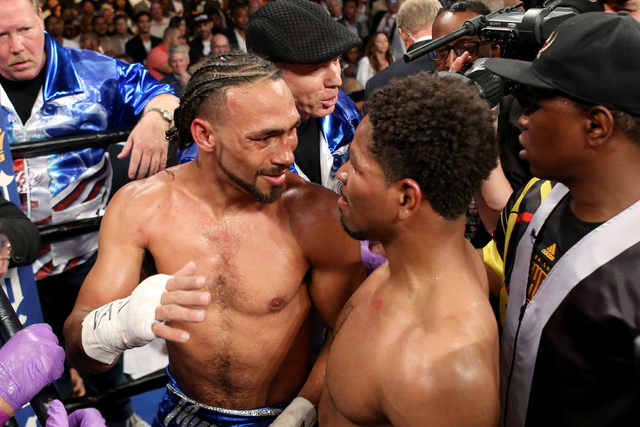 Thurman’s close victory provided high TV ratings and gained a few more boxing fans. The sport couldn’t afford another flop on prime-time national TV. 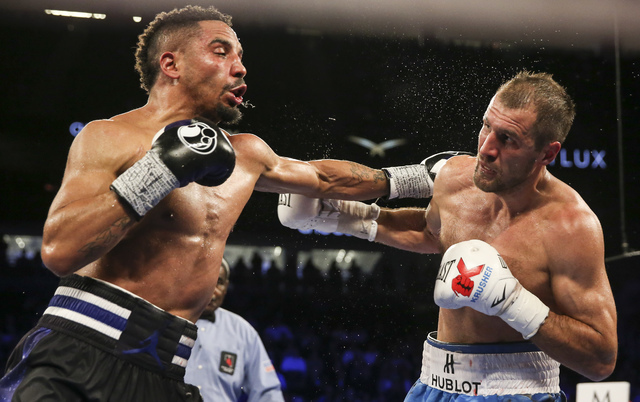 Thurman’s power punches and Porter’s intensity gave boxing fans the excitement without forking over $60. A fight in New York with the nation watching is what made this sport popular. Hopefully Thurman’s bout against Garcia also lands on CBS and brings in and returns more fans to boxing. 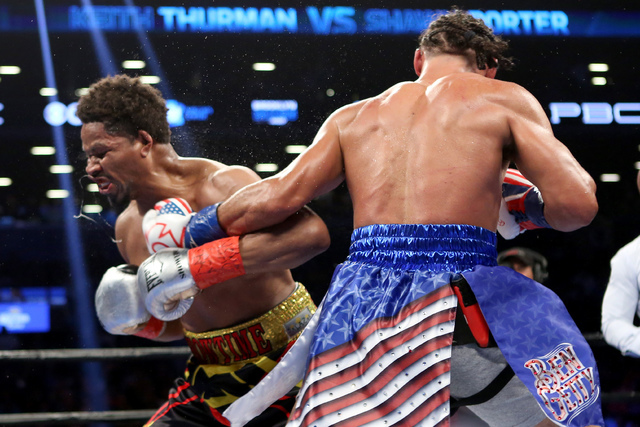 Porter, a Las Vegas resident, didn’t have the skills and power of Thurman, but he won the crowd over with his relentless attack. 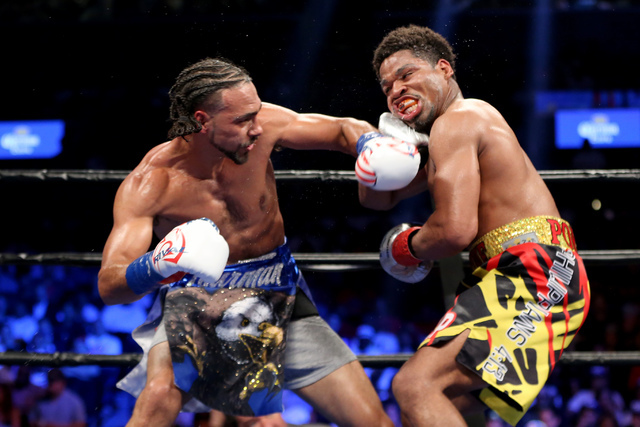 Thurman was smothered, but his counter game and fighting off the backfoot skills got him the victory. There were no slow rounds in this one, and it left casual fans talking about boxing the following day.